‘Campaign updates’ will be useful for documenting any endorsements by community groups, elected officials and other organizations. It is important for future members of SQGW to see that we have support of the community. We’re still alive! Here’s what you can expect for this month and in the foreseeable future during the summer. 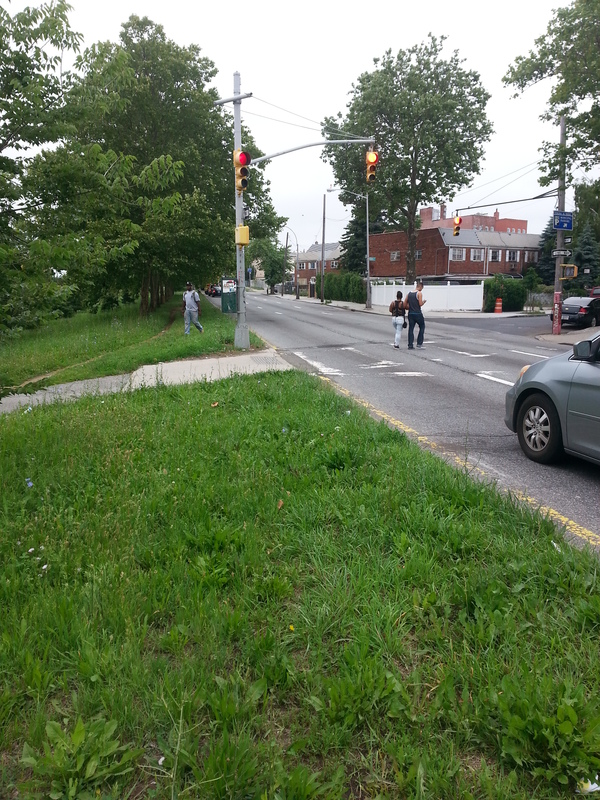 It has been decided that the first area of the greenway that we will tackle is on Conduit Boulevard between Liberty Avenue and 80th Street. More on this soon. 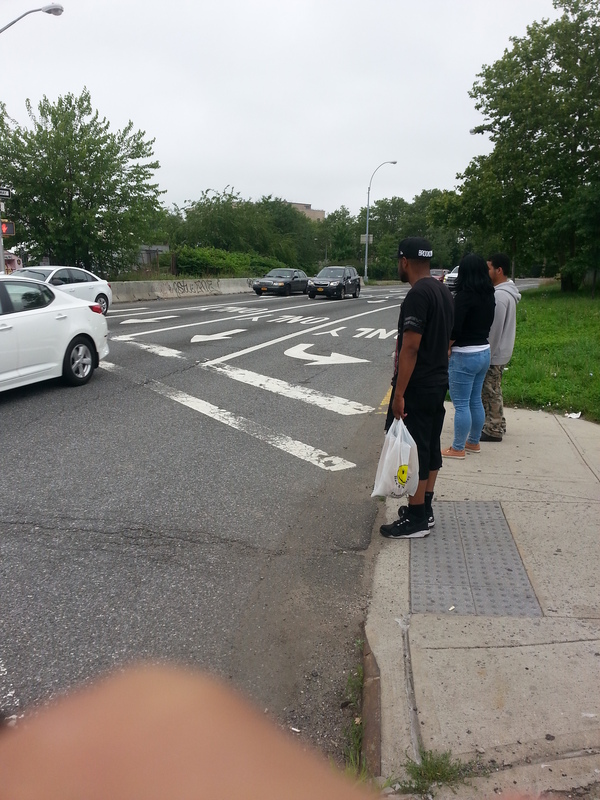 Bike ride to East New York! I hope you all enjoyed your holidays. You are cordially invited to participate in our first lunch/meeting on Saturday, March 5th at noon. I want to invite you and friends to a strategic meeting to discuss how to proceed with the greenway initiative. 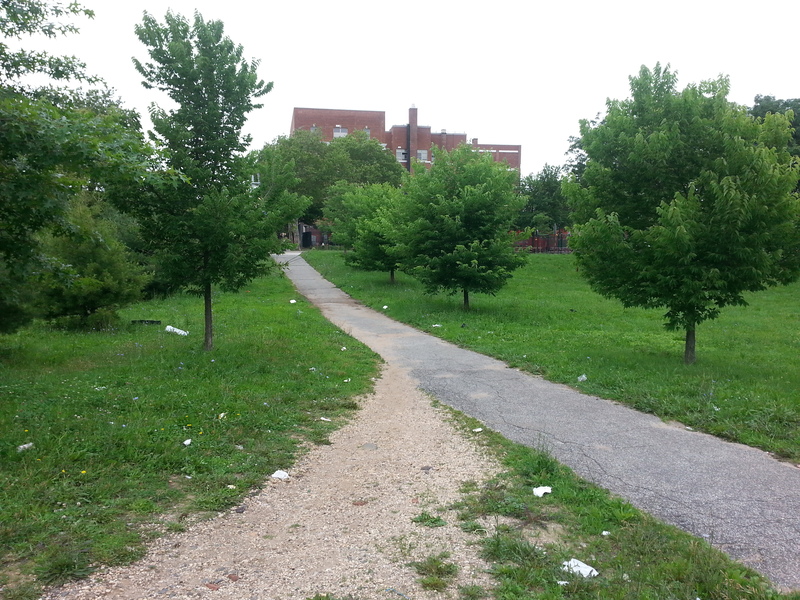 In 2015 I met with community groups, city agencies and public officials but I need your help to make the greenway grow. The venue is O Lavrador Restaurant and Bar in Jamaica, Queens. I have included the menu and prices in the link below. At the meeting we will discuss future plans and ways to get active as we move further into 2016 and beyond. Please brainstorm ideas in advance. If you plan on attending please send a message to the Contact page by February 20th so I can make necessary reservations. Yesterday I had time after work to go for a tour of the Conduit. I documented my experience with a particular interest in the conditions of pedestrian facilities and the overall feel. 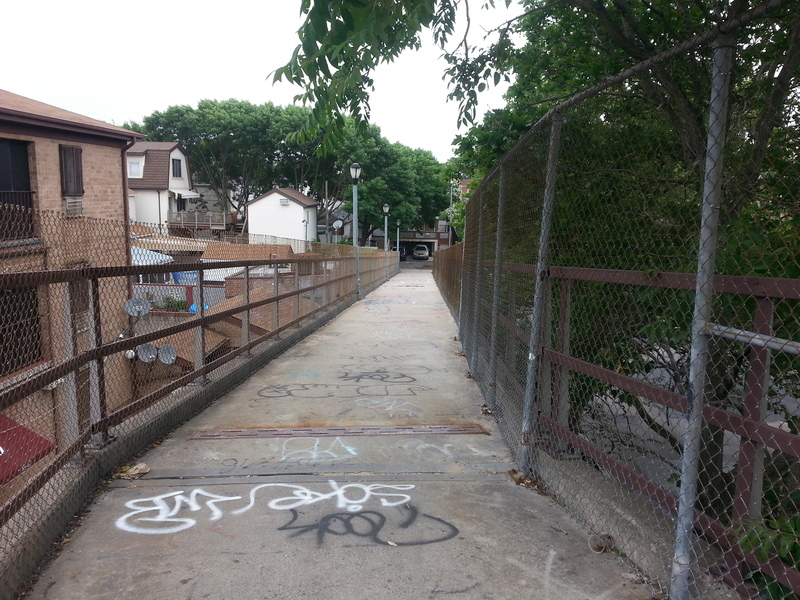 I made it as far south as the pedestrian footbridge and then ended by the Norwood Ave J train stop by Highland Park. The photos end by City Line Park. Here I provide a narrative for the photo tour. Overall I took over 200 pictures but for several reasons (ie. memory restrictions and redundancy) I cut the total down to 35 pictures. 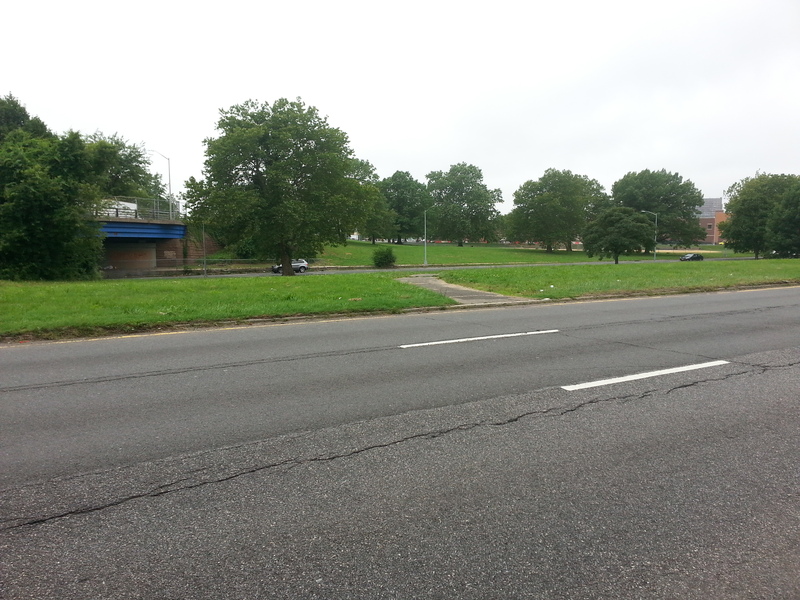 Today the arterial roadway sits directly atop the historic aqueduct that once connected Highland Park’s Reservoir to parts of Eastern Queens and Nassau. The structure provided drinking water for NYC’s early population. The right of way for route 27 was placed on top of the former aqueduct. 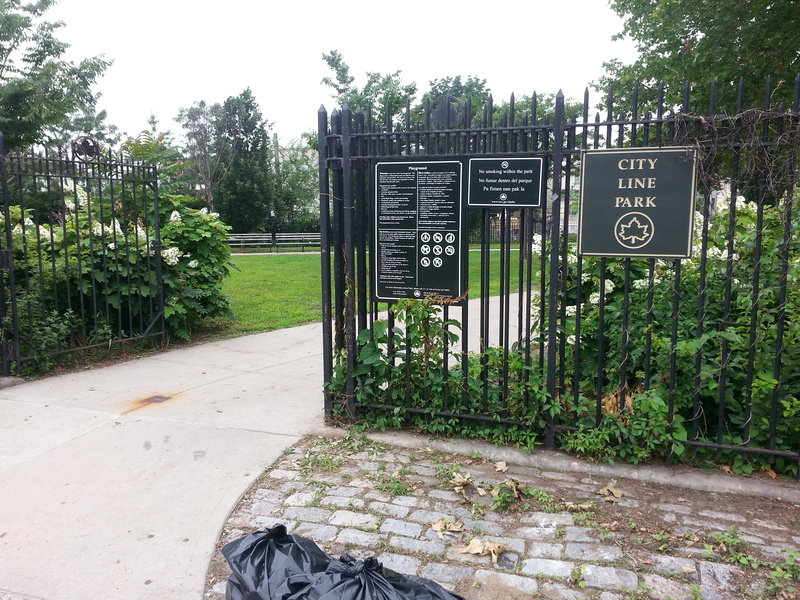 If you’d like to learn more about the site’s history check out the NYC Parks website. 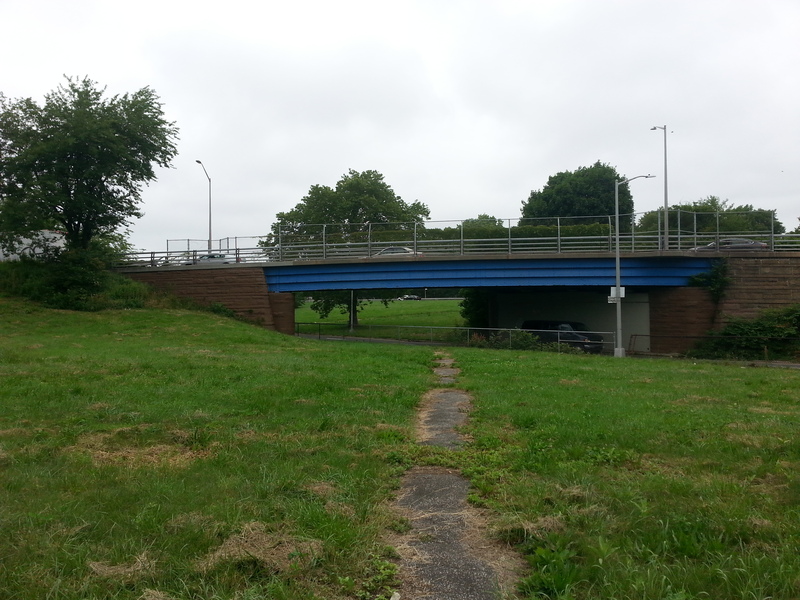 I started my walk south from the Grant Ave A train and traveled along the southern edge of the median. 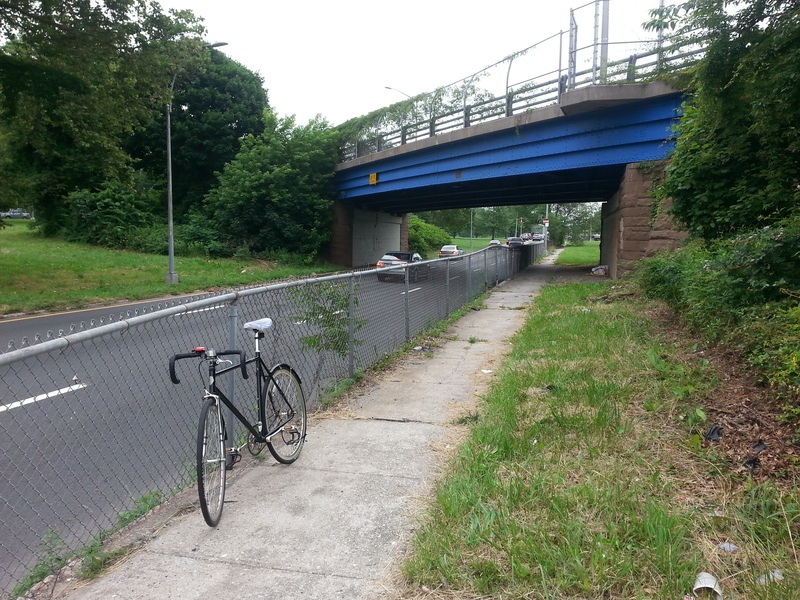 Further along I crossed under the bridge for Linden Blvd. Not surprisingly there wasn’t much to see aside from: faded pedestrian crossings, poor, crumbling roads, suicidal cyclists and lots of garbage. The historic Federation of Black Cowboys site is still standing. Signs near Tudor Park across the road indicate that horses once crossed over. 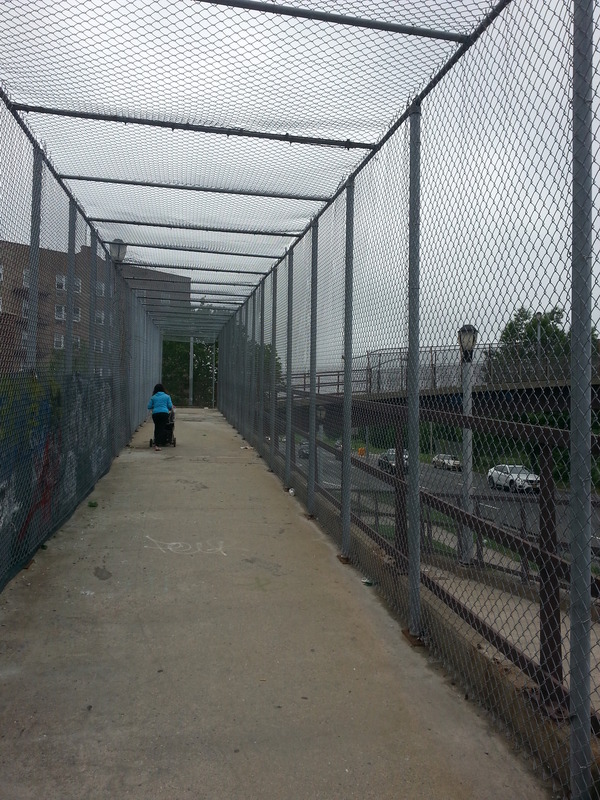 Next I crossed over the Pedestrian Overpass. 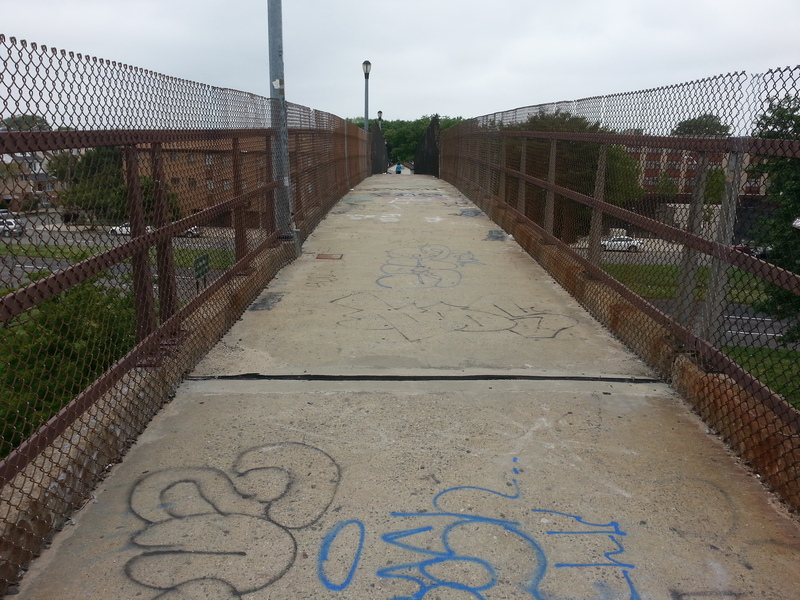 The foot bridge is not an inviting landmark; there were fragments of broken glass scattered along the entrance ramp, a fence covered one segment entirely and there was graffiti everywhere. Presently the bridge is the safest option for crossing the Conduit. 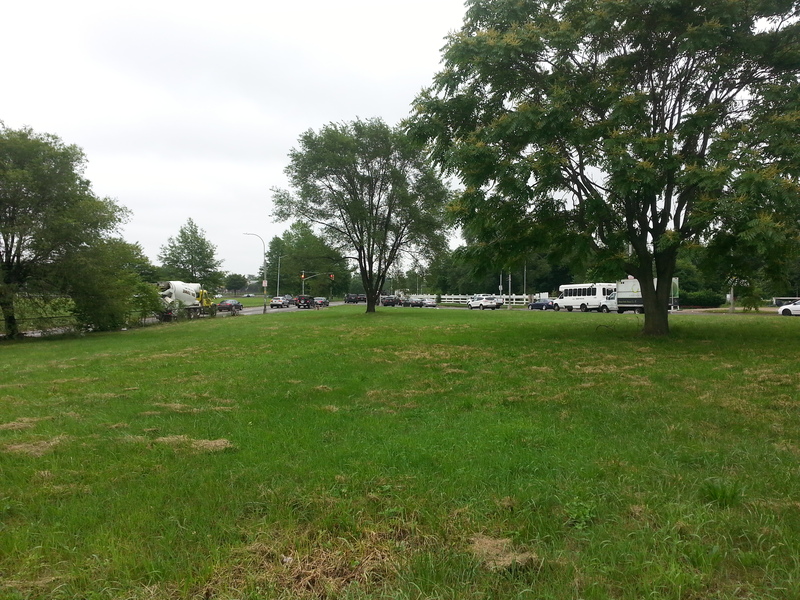 Plenty of people opted to run over the six lanes and the grassy median. My guess is that the bridge isn’t practical if your trip is too far North or South. 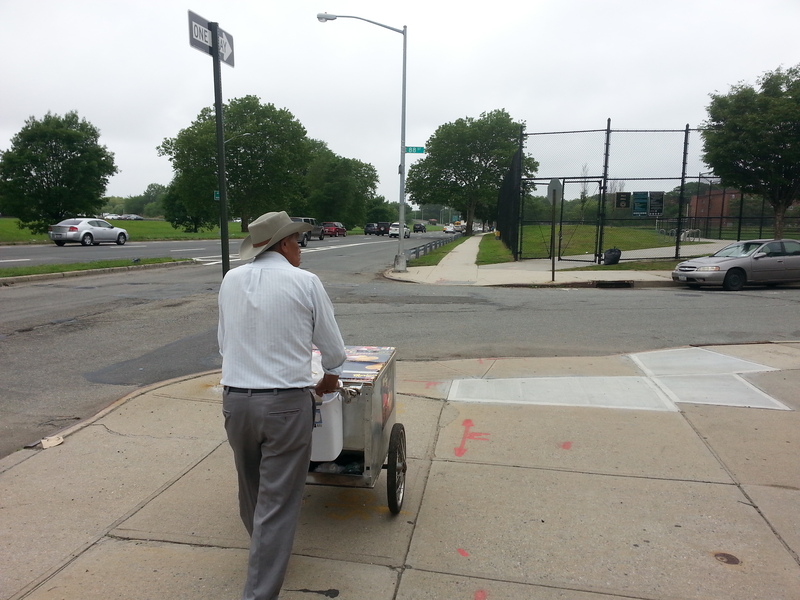 On my way to Cypress Hills I found an ice cream man pushing his handcart on the crumbling sidewalk. It was odd to see him roll the cart with his bike horn when hardly anyone could be seen. 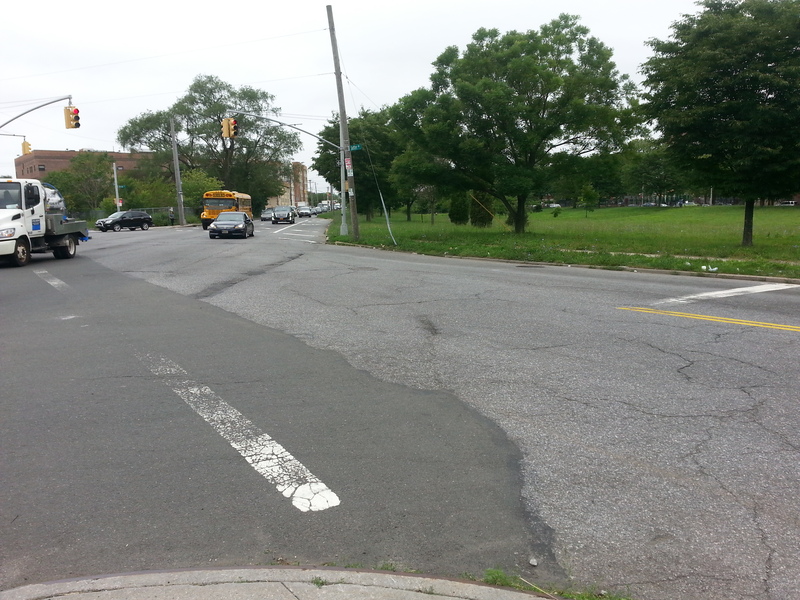 Moving along I passed Pals Oval, Indian Field, and Tudor Park. 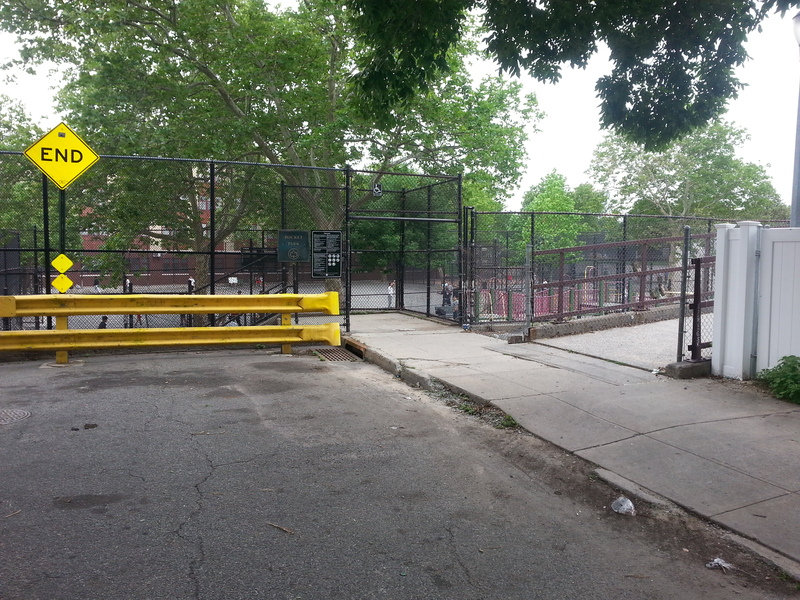 I was surprised to see these ballfields and park spaces were being used with the loud and choked air of passing cars and trucks. 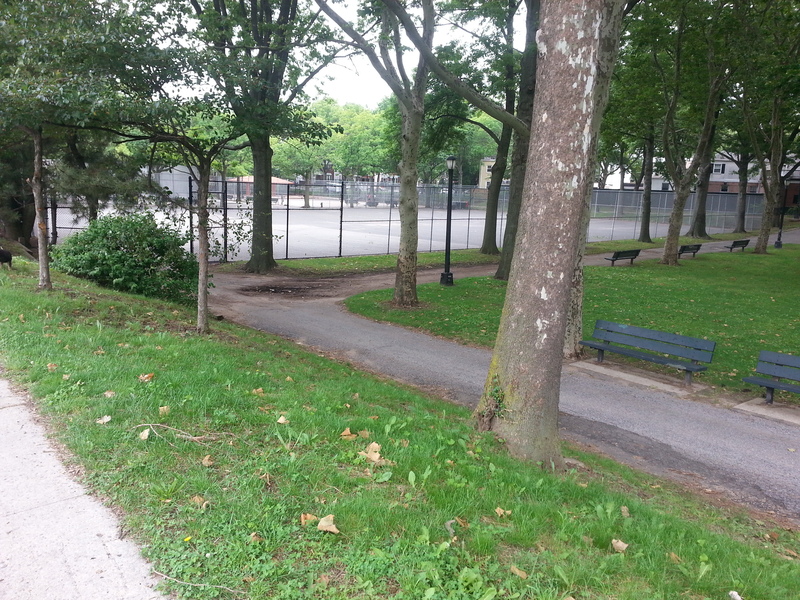 Unfortunately for the neighboring community, many facilities, especially Tudor Park, were too close to the Conduit. 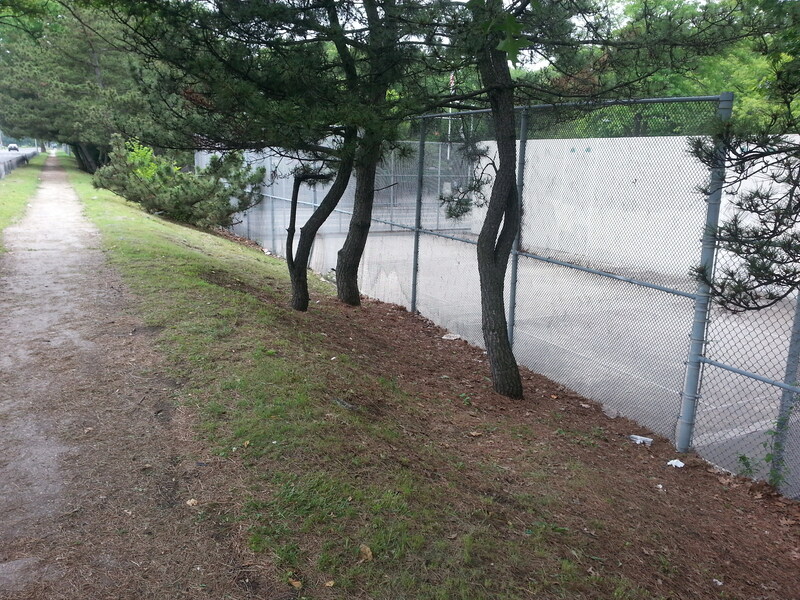 Tudor Park’s topography is lower than the road. Wouldn’t be surprised if many children developed asthma and other respiratory complications by playing near the trough along Tudor park. 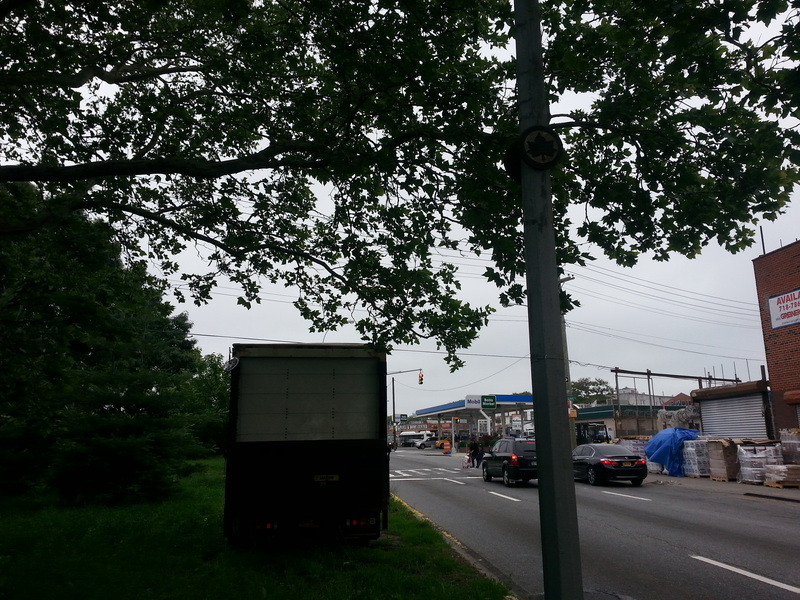 Before reaching City Line, the community on the Brooklyn-Queens border, I passed through a miniature forest. 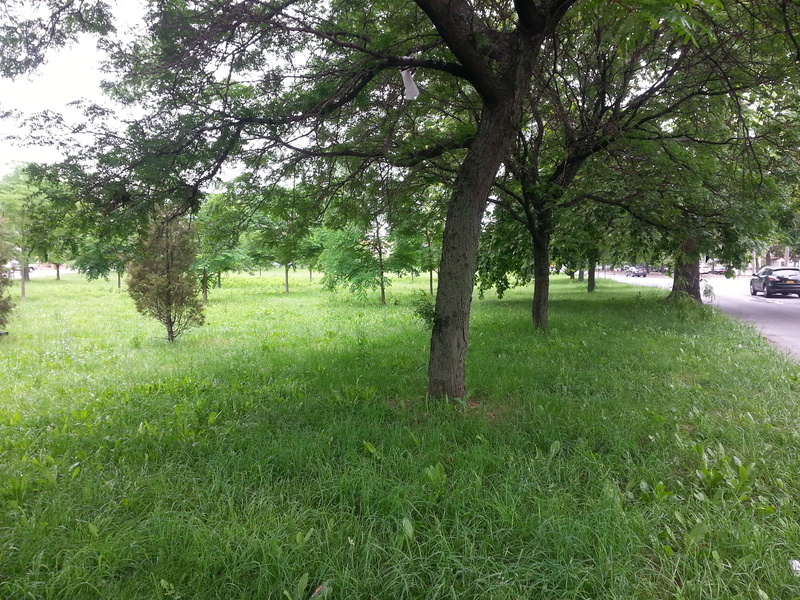 The transition is characterized from open field space to trees and abundant wildflowers. Finding a shady spot was an easy task. As expected the little oasis, offering shade and respite from the urban setting, soon ended; I was quickly deposited onto the fringe of the road. Up ahead Conduit Blvd squeezes as it nears Atlantic Avenue. 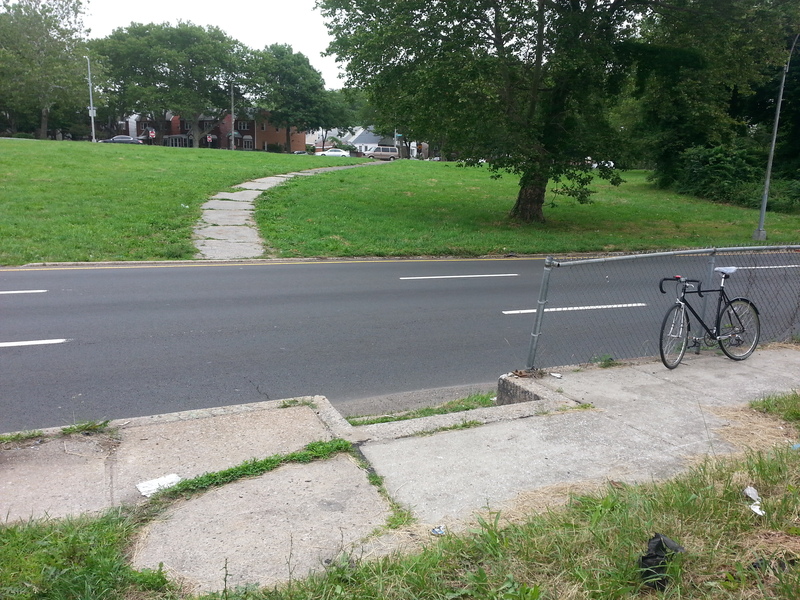 One notable theme for the trip: pedestrian infrastructure in and around the conduit is a joke. 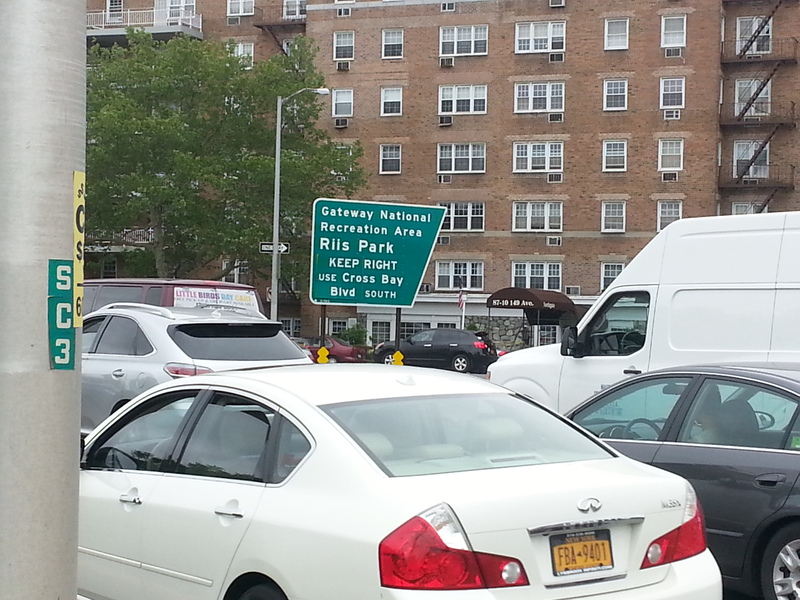 In order to reach City Line park you need to cross the southbound Conduit Blvd then cross Liberty Ave. Otherwise start running! I want to use this experience to start a conversation with neighbors, community leaders and the city agencies about the future of this road. I undertook this trip in response to the Department of City Planning which asked for a survey of the site. The Conduit succeeds in dividing not only automobile traffic but also the community. Please comment with some changes you would like to see added to the space and, of course, be sure to sign our petition and contact us if would like to get involved. Great news! On April 22nd, Earth Day 2015, Friends of Idlewild (@IdlewildPreserv) tweeted a photo of the Springfield Park section of the Greenway. 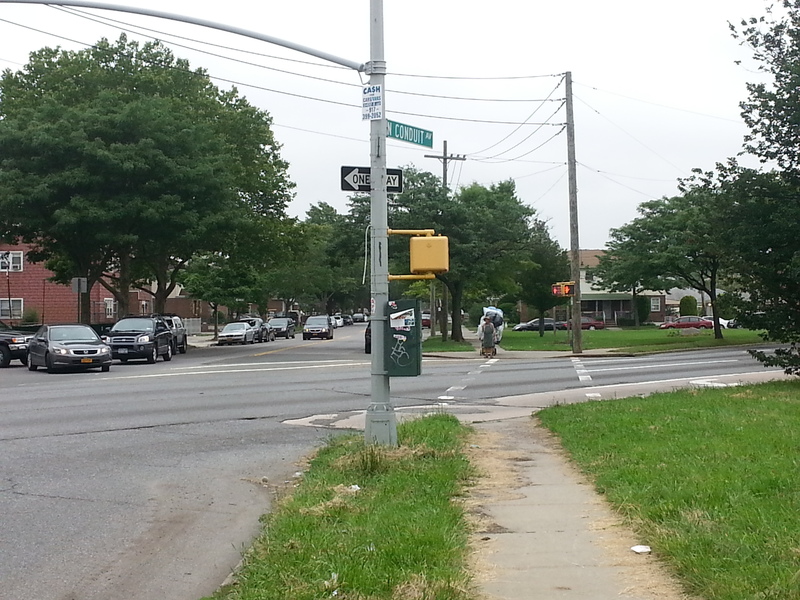 It runs along Springfield Blvd from 147th Ave to South Conduit Ave. A small yet important step towards connecting Southeast Queens to the NYC Greenway network. 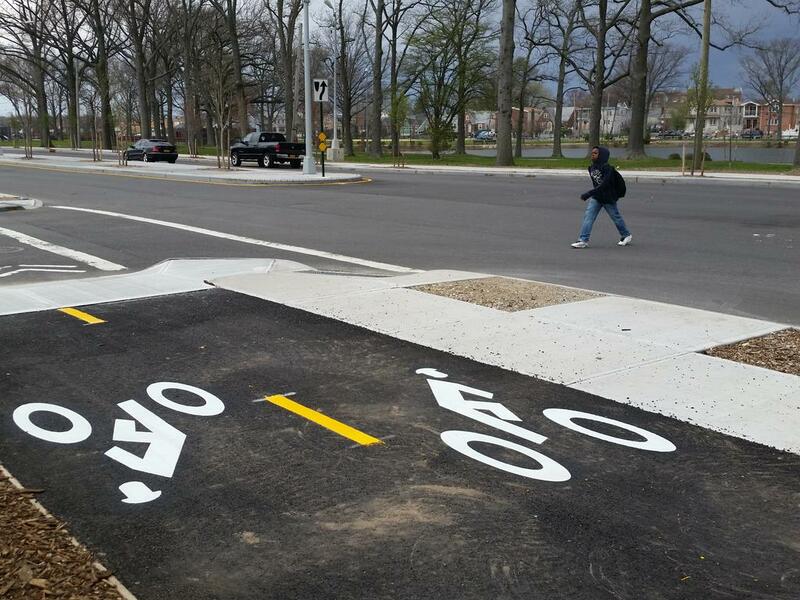 NOTE: The update will not appear on the NYC Bike Map 2015 but the markings are there. There will be a ribbon cutting ceremony in June. More details to come. Please refer to the Google Map below. 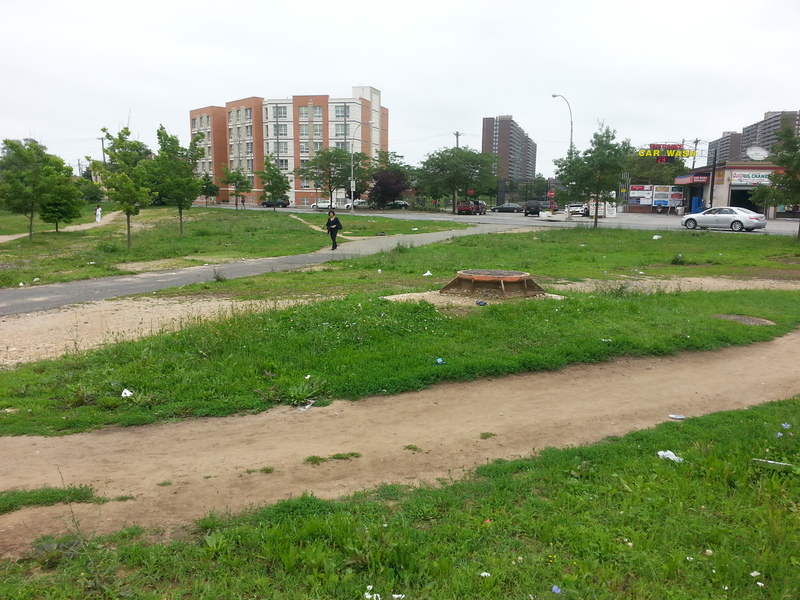 Southern Queens Greenway has been making news and needs your help. 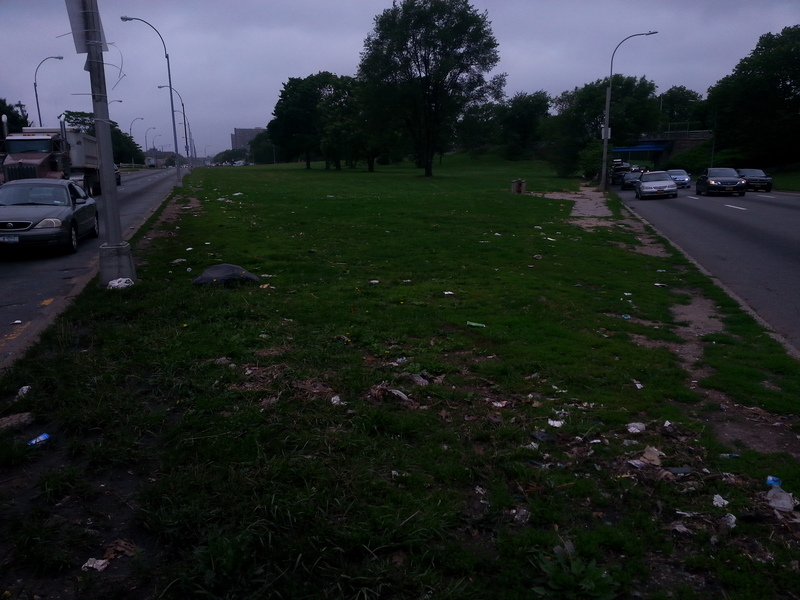 After being featured in the Nassau Herald, Rockaway Times, Queens Press and DNAinfo it is clear Southern Queens Greenway needs your help. We need volunteers who can offer their time as well as diverse skill set. Included below are some suggested skills that would help. Note this list is not exhaustive. 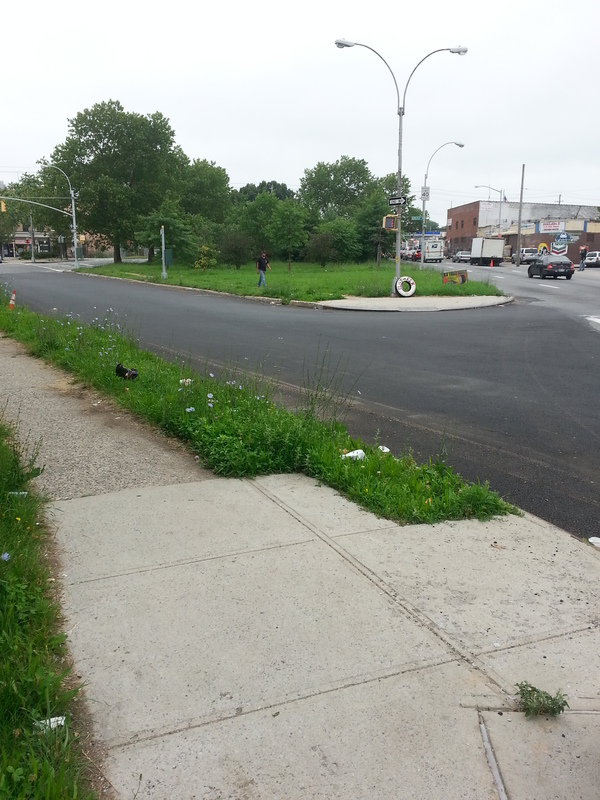 There are plenty more ways the Southern Queens Greenway can use your help! 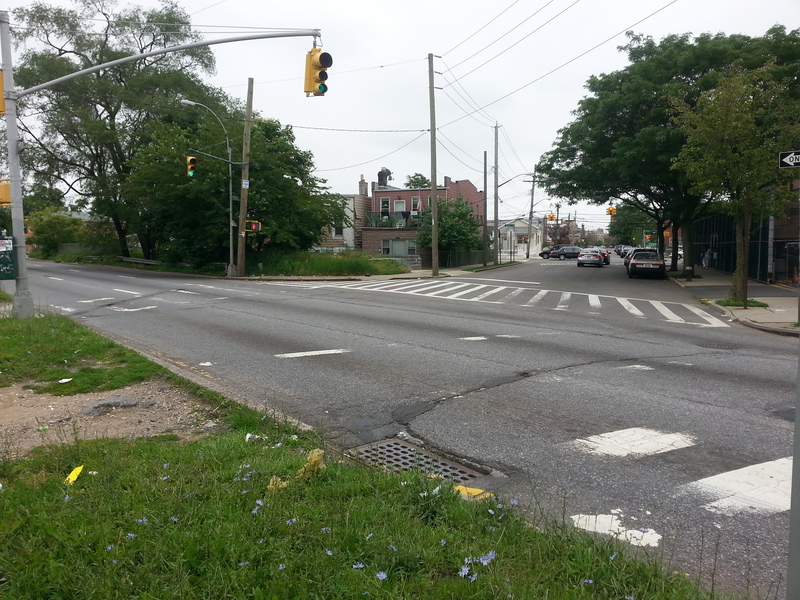 If you are interested in making South and East Queens a safer place to walk, run and bike, kindly email us at [info][@][southqueensgreenway][. ][com] or use Contact and fill out the form provided. Looking forward to working with you! Good news! 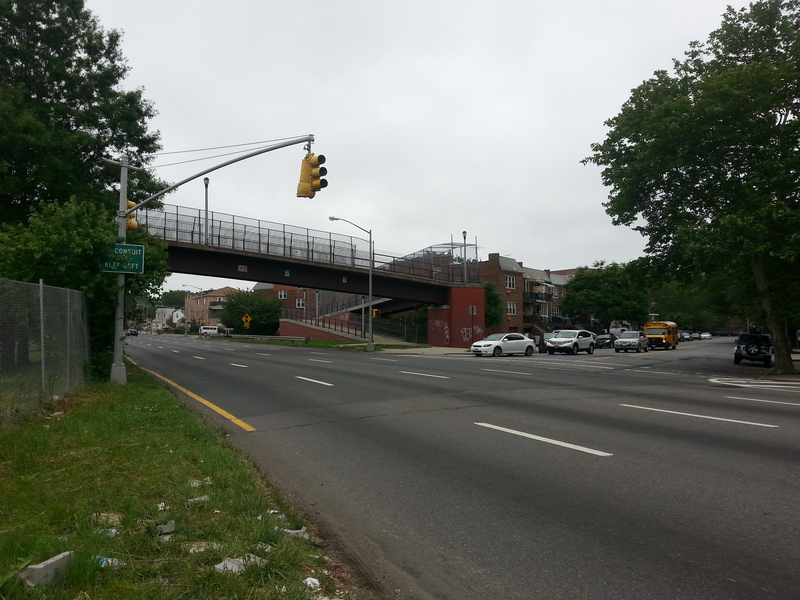 You can now follow the Southern Queens Greenway from popular social media services. 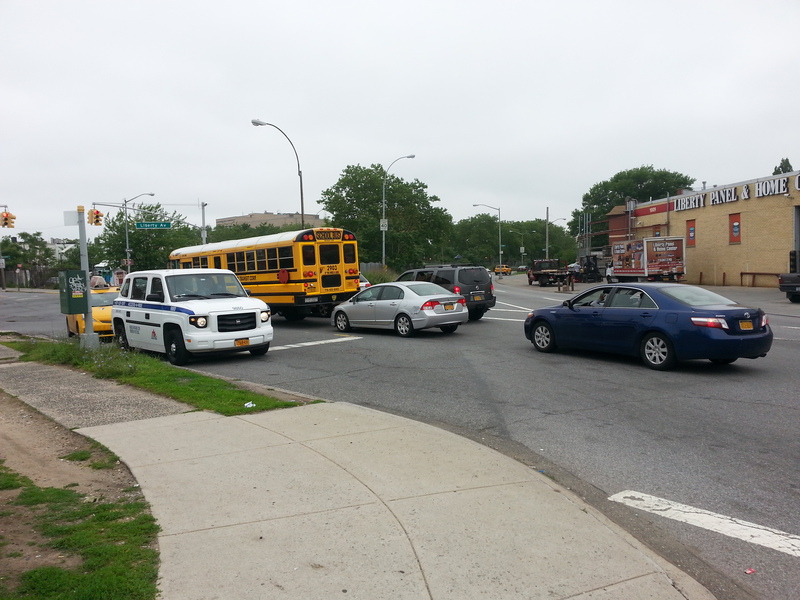 Please “Like” Southern Queens Greenway on Facebook, “Follow” @SQueensGreenway on Twitter and of course spread the word with family and friends who may want to learn more about this exciting new campaign in Queens. 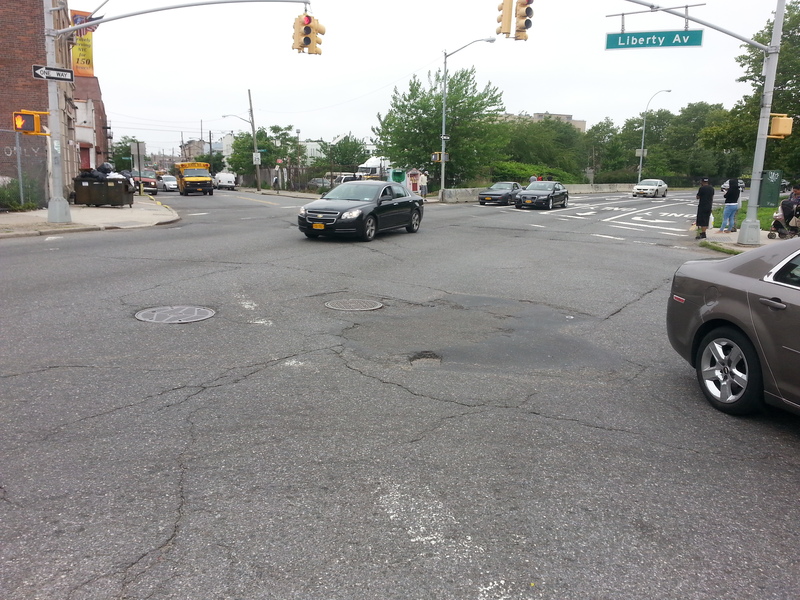 Potential candidates include but are not limited to walkers, runners, bikers, environmentalists and Queens residents. Petition is online. Sign! Sign! Sign! We are live! The petition is now on Change.org. You can use your facebook account and share with anyone who’d be interested right from the site. 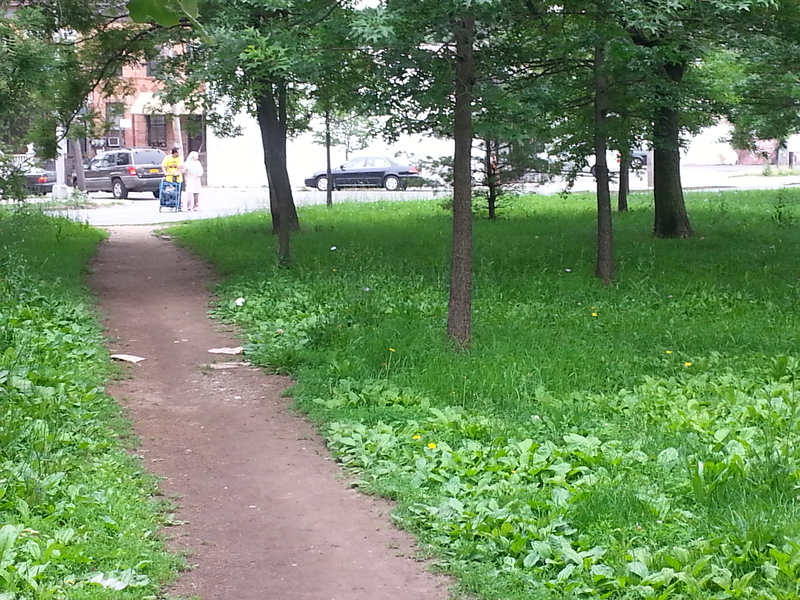 Potential sharing candidates are those who enjoy walking, running, biking or anyone who believes that NYers should have safe access to their parks. We are now drafting a strategy to get additional signatures offline. Thanks for your support! It has come to our attention that there is some confusion when recognizing the Southern Queens Greenway amid other recognized trails. The media has covered some of these pedestrian and bike friendly trails so it is important to understand the differences. 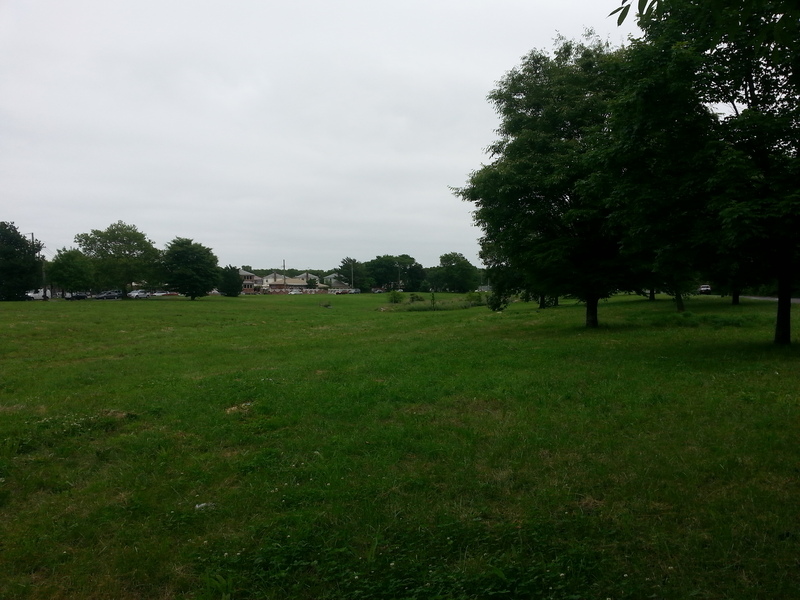 We’ve been asked if this project has anything to do with the Gateway National Recreation Area. 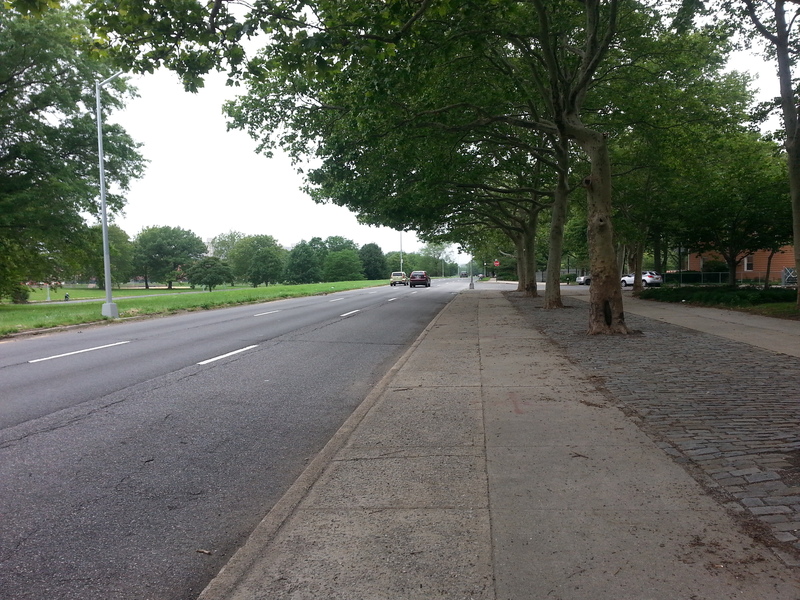 Though the Jamaica Bay trail is both beautiful and extensive it is not the same project. Please see the Google Earth satellite image below. 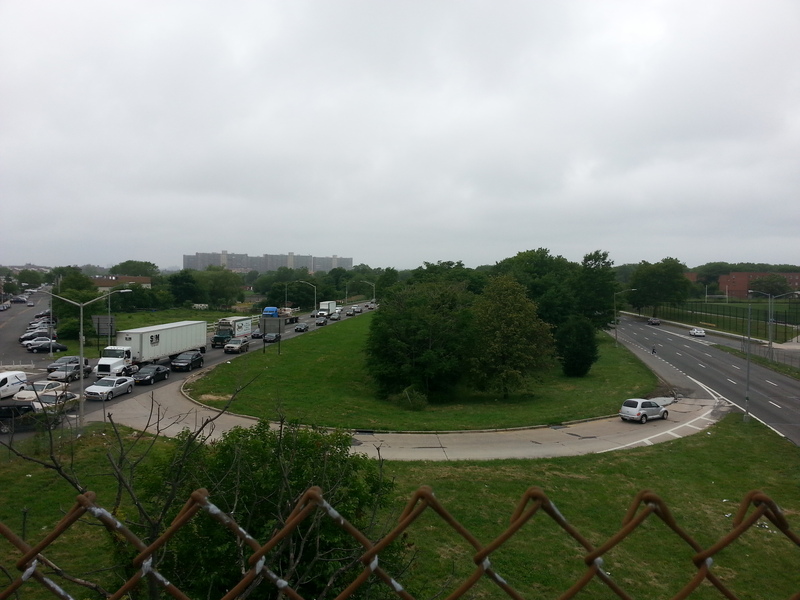 It shows a zoomed in section of the routes from Southern Queens Greenway and Jamaica Bay. 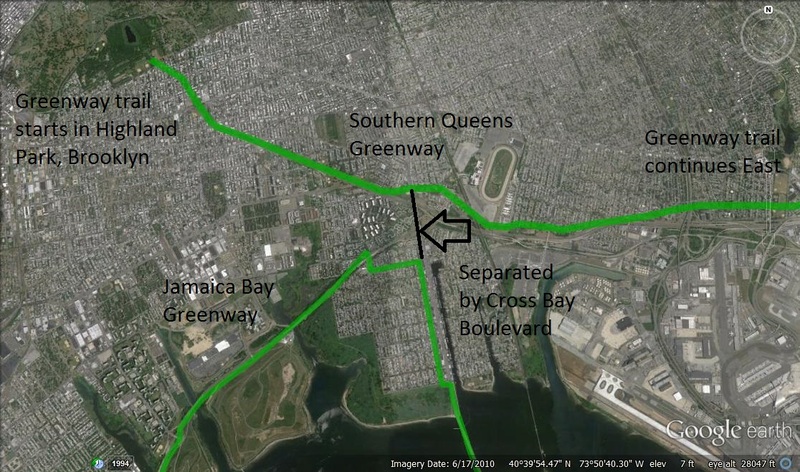 The thick black line indicates where the Cross Bay Boulevard bridges the Belt Parkway. DISCLAIMER: THIS IS NOT QUEENSWAY. 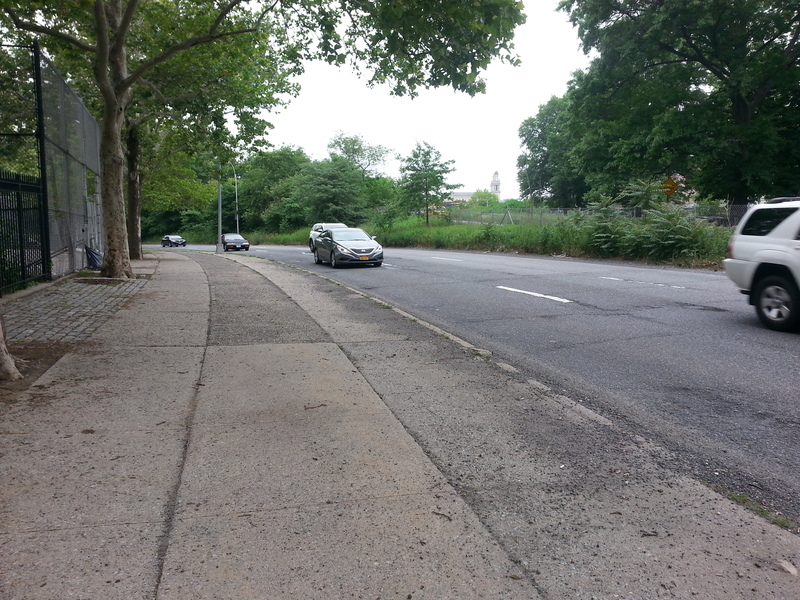 Southern Queens Greenway does not interfere with any rail right-of-way. Please refer to the original plan listed under Resources for an in-depth route description. 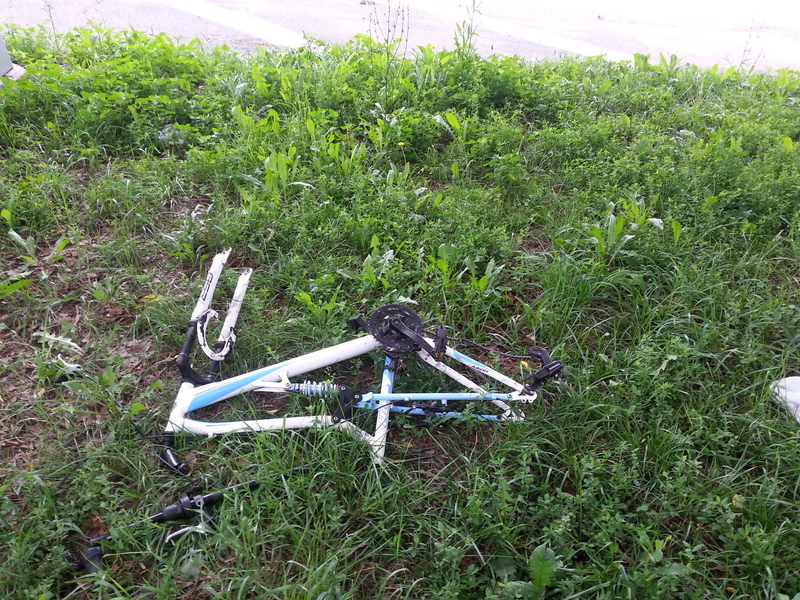 Through the collaboration of NYC organizations, residents, elected officials and city/state agencies it is our hope that the Jamaica Bay trail and the Southern Queens trail will meet creating a more extensive and comprehensive NYC Greenway.